As Bronx Slang, Jerry Beeks and Ollie Miggs yield not to evil as the calls for golden age purism grow louder. Influenced by the almightiness of Grandmaster Caz and Beeks’ first vinyl purchase of LL Cool J’s ‘I Need a Beat’, they offer a solid gold guarantee of being able to “pickpocket your playlist, shoplift your pop hits/and show you how gritty hip-hop can get”. Introduced by a mutual friend and soon embarking on writing songs together, Beeks would make an appearance on Miggs’ Shootyz Groove album ‘High Definition’, before starting work on his first solo record. Called ‘The Crop Report’, it was released on the Wall Of Sound/Bad Magic label in England, produced by Fake Blood aka DJ Touché of The WiseGuys and ‘Ooh La La’ infamy. It was a connect solidified by Beeks making an appearance on The Wiseguys album ‘The Antidote’ a year prior. Beeks would work with DJ Ad on a second LP a few years after, released intuitively over social media, and now lays claim to fully paid-up membership to the Bronx Slang gang with Miggs and genre-ducking ‘Gentleman of Leisure’ Jadell. The eagle-eared will have already gotten a taste of the Bronx boys ‘Rushing the Stage’, but one sharp turn in styles found on 2018’s Fabyl compilation ‘Arrival’, brought together by label head Nick Faber. 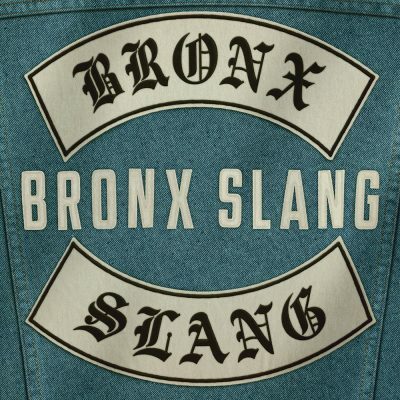 To the tune of easygoing funk connecting your brain and body, Bronx Slang launch into the sort of boom-bap that swings saloon doors open to get everyone’s attention, all while running undercover movements of a seven figure street value. Their punchy show-and-prove, shrewdly namechecking sports stars and mixing social media metaphors, rides alongside a refusal to sugarcoat the state of the world and powder keg politics made everyday. “If hip-hop is dead, then it’s a brand new start” – welcome to a resurgence straight out the Boogie Down.